In my previous column, I had written about Mumbai rains and how Mumbaikars venture to work, no matter what. For the benefit of those readers who missed it — I left my house for office, but couldn’t get an auto-rickshaw or a bus that could take me to the station to get a train. However, I got a ride by a close friend whose workstation is in the same building as mine. As soon as I got into the car, I let out a sigh of relief. Had a brief chat before this friend excused himself to make a couple of urgent phone calls. Till then, I completed reading the newspaper and then stared out of the window at the water accumulated on either side. Once his mobile phone was allowed to rest on the car seat, we began chatting so we could catch up with what we’d missed about each other since we last met. This friend, let’s call him AR, had his family over from Kashmir. While we were on the same topic, he asked me about my home and family, and when was my latest visit to Goa. I answered all his questions and then he started talking about his recent business trip to the land of sea and sun. I’ve known of many people confessing their love for Goa, but this was an all new and different reason. AR was in love with Goa not because of the scenic beauty or the beaches and parties or anything else that’s popping up in your head as you’re reading this. According to him, Goa is a place where he can explore. He said, “Whenever I go to other states, I want to explore those places. But when I’m in Goa, I explore myself.” Now that’s something I’ve never heard of. I gave it a thought and realized that he was quite right. If you go towards the south of Goa, and sit by a sea, there’s no one to bother you. Noise is at its minimum, and you’re quite likely to be able to hear your own thoughts. It’s something I did when I visited Goa last year — sat by the beach and did nothing. When people say they want a break from the chaotic city, and are planning a trip to Goa, I think this is what they need to consider. It could be a trip to explore yourself and return afresh. A Goan by descent, Gyan Correa has been into film-making since college days. He bagged an award for the best Gujarati film at the 60th National Film Award. As a young Goan lad all of 12 years, Felix went to Bombay to earn and learn. With sheer hard work he set up David & Co, a printing unit in the maximum city. 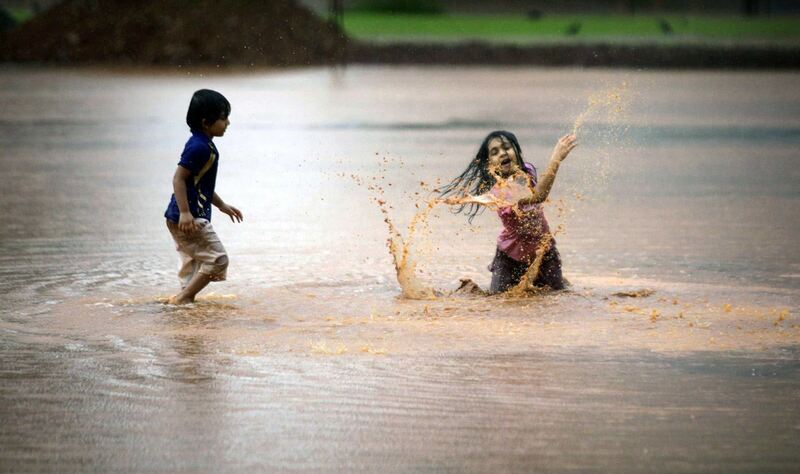 Before monsoon kick-started in Mumbai, we lived with the fear of getting evaporated and coming down as rain someday. Luckily, nothing of this happened and the summer was gobbled down by the much awaited first drizzle. Dark clouds and a breeze carrying petrichor (the scent of rain on dry earth) reminded us that we needed to buy ourselves umbrellas and rainy shoes. However, the reminder faded away and we were back to the usual life as the rain showed no signs of returning. But we knew it would, and when it came down, it would be generous enough to flood streets and houses likewise. A week later, we all know what happened. Mumbai rains started hogging headlines in all newspapers and news channels. “Heavy rains could halt Mumbai’s trains”, “Heavy rains lash Mumbai”, “Torrential rains for a second day disrupt Mumbai” — so read the ticker on news channels. But what do you think Mumbaikars did – stayed at home? Hell, no! And it was not just working-professionals who left their houses last Monday morning, school kids also boarded school buses and vans to begin a new academic year. What a start! When I woke up on Monday, I faced a dilemma of whether I should go to work or not. It was raining cats and dogs and I was worried about getting either a bus or an auto till the station. Auto-rickshaws refused to take anyone to Andheri station because the area was already flooded as a result of the downpour that lasted through the night and now, the morning. A friend called to convey that trains had stalled as the tracks weren’t visible. Water started seeping into people’s houses. And I was still waiting for a bus to reach office! Dilemma once again – should I still wait or should I go home? I took a chance and called a friend whose workstation is in the same building as mine. Luck was on my side! I got a ride to work. Even though I got a ride, I landed up reaching office at 11:30 am instead of 9:30 am. Why? It’s was not just heavy traffic. Every street was submerged in water. Despite this, cars and bikes were still plying on city roads. The question to be asked is — why is Mumbai never ready for the rains? This was the first overnight shower and the city couldn’t hold the amount of water. Potholes are not covered and gutters are unable to drain as they are clogged with dirt. Nonetheless, the beauty about this city is that no one sits citing rain as an excuse. Everyone sets out with the same zeal and fervor. Last Monday, trees exposed the green that was covered by dust for one whole year, buildings shed the grime that was sitting on them and everything we could see was shining in this city. The rain just gave the dust a break. It will come back to haunt us soon. Column: Ladies’ Seats — Curse or Blessing? Public transport happens to be the most convenient way of travelling in a chaotic city like Mumbai. And like any other day, it was around 9 pm when I took a bus from Andheri station last week. One by one, everyone entered the bus from the second door and chose their seats. I mounted the bus, but until then there was no vacant place left. When the bus halted at the signal, a pregnant woman entered the bus from the front door. She definitely assumed that someone would actually release their spot for her. Unfortunately, no one did until she asked a lady. No, that lady didn’t do so, but a man from the senior citizen section gave up his seat instead. My point? In the last five years that I’ve lived in Mumbai, I’ve realized that people care very little about who you are or where you’re coming from. Although this happens once in a while, women have 12 reserved seats in all B.E.S.T buses. Plus there are ladies’ special trains and buses at specific timings every morning and evening. And this is taken very, very seriously. No man can enter these trains or buses. No man can also occupy a Striyansathi seat in a bus. There are times when men let go of an empty place, but it’s never occupied as it has Striyansathi inked on the reverse. Sometimes, I wonder if we need to have such reservations for women. What do we gain? Does this make us equal to men? But, do we want to be equal to men? Then why do we have reservations? Then again, if we don’t have these reserved seats, we may never get to sit in a bus. Last April, when I visited Goa, I was travelling by bus to Margao. I boarded a local, got a seat and waited for my stop to approach. Within no time all the seats were occupied including the ladies’ seats. Oh yes, we’ve always seen those reserved seats for women, senior citizens and physically challenged persons in every bus. But I’ve never seen the right persons occupy them. So that evening, an elderly lady mounted the bus at Chinchinim, and the senior citizen’s seat was occupied by a teenager. She spared the old lady a glance and reverted to staring outside the window. I gave up my seat, and everyone stared at me as if I had committed a crime that could not be forgiven under any circumstances. Why do buses in Goa even have those reserved seats if it’s not taken seriously? It’s about time, we start paying heed to such nitty gritties. If not, such reservations would be barren and unproductive. Where do you currently work and what is the role you play? Introduce us to Andrew as a music teacher. How did you get through Bombay Vikings? Share your experience with us. I got a chance to be part of Bombay Vikings (led by singer Neeraj Shridhar) through a musician friend, Cassy Lobo, who plays the drums with the band. After working in Delhi for 12 years, this opportunity came as a blessing as I always wanted to travel to new places around the globe and get a taste of the world of Bollywood too. I moved to Mumbai in 2011 and joined the band. I performed with Bombay Vikings for three years. It was a great experience to work with a great musician, teacher and the most humble human being I know – Neeraj Shridhar. He shared his knowledge of music and his philosophy of life with me and these are things that will always stay with me. After working on his debut album – I Gotta Go Home – I am producing the second album by Dr Varun Carvalho (Goa-based dentist and singer-songwriter). The yet-untitled album features pop-rock songs and it’s due for release mid-August this year. I am producing the debut album by Mumbai-based band, Nirmika &The Few Good Men. The album will feature Hindi and English compositions. I am also starting my own multi-artiste project called Andrew Ferrao Collaborations. As part of it, I am working on a spiritual album titled Life, which due for release this year. The album will feature songs on love and spirituality. It is very dear to me because it will bring together an interesting and diverse mix of talent from across India. Some of the people who are part of it are Mumbai-based singer Leon de Souza, who was the voice of AR Rahman’s song ‘Hosanna’; Vince Costa from Goa and Apeksha Shalin Victor from Delhi. I am super excited about this project. When did you first realise that you wanted to be a musician? It was in the year 1989 when I was 12 years old that the music bug bit me. We had shifted our residence from Chinchinim to Verna. One of our neighbours was a person called Thomas, a musician who’d always be practicing his piano pieces. I found him very fascinating and would spend hours watching him play. He was kind enough to teach me songs. Soon I started playing music myself. That’s when I was convinced that I love music more than anything else. I started with performing at the school assembly and as I went along, I became part of many bands too. All these experiences have taught me a lot. What are the genres of music that interest you the most and why? Well, I have played a lot of genres, be it pop, rock, reggae, dance or jazz. I enjoy each and every style as long as it has soul in it because I believe that music is all about soul. Tell us about your association with Bollywood. My association with Bollywood has been through two artistes Neeraj Shridhar (of Bombay Vikings) and Rabbi Shergill, both of who have carved a niche for themselves in the industry. I am looking forward to working with a lot more musicians in Mumbai. When did you leave Goa for Delhi and why? How long were you in Delhi? I left for Delhi in 1998 because I was looking for a change in my life. I lived and worked in Delhi for 12 years, before moving to Mumbai. It’s been three years since I’m in Mumbai now. What’s the difference between the music industry in Mumbai and Delhi? What’s your take on the music industry in Goa? Well, Mumbai is the heart of the music industry. All the major work happens in Mumbai, be it for films or advertisements. There’s not much scope for these things in Delhi. But I feel that the live entertainment is much better in Delhi and NCR. As far as Goan music industry is concerned, I feel it needs a revolution. It’s going to take some time and a lot of hard work by serious musicians for the Goa music scene to grow and flourish. 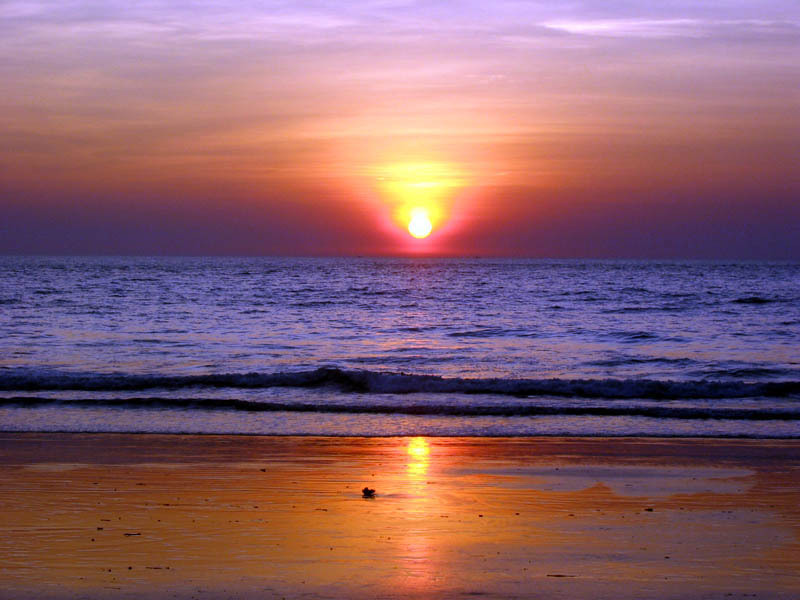 Tell us about your early days in Goa. Where did you complete your schooling and college? And how did you grow fond of music? I studied at Moun Mary’s School, Chinchinim till class 7. From clas 8 onwards, I studied at Father Agnel School, Verna. After completing school, I went on to study Food Production at Institute of Hotel Management (IHM), Porvorim. I grew fond of music at an early age, when I was 12 years old. Since then, I have been playing music since my school days and have been part of many bands in Goa, such as and others. I feel blessed to have performed with experienced musicians. You’ve studied Food Production and Catering. Why didn’t you join a cruise line? Well, I did work on a cruise liner (P&O Cruises) but I quit the job in 10 days. Working on the ship was a life changing experience. I realized that I didn’t belong there. So I came back to Delhi, worked hard and now am where I am. How did you grow as a musician in Goa? Share with us some memorable concerts. You’ve also performed with Chris Perry. Tell us about your experience. Those days were superb! We used to perform at a lot of beat shows and dances. Now, these events have become rare in Goa. Performing with Chris Perry was an amazing experience. We’d rehearse from 12 midnight till 3 – 4 am in the morning. It a pleasure to be part of the four concerts that I played with him and the big brass band for the carnival in the year 1996 – 97. Very early in my career, I also got the opportunity to perform with Bollywood composer Anu Malik (At Navelim, for Goan Cultural Festival) during the same period. Since then, there’s been no looking back. How would you describe yourself as a musician? I’d describe myself as an honest and hardworking musician who likes to try new things all the time. Whether it is performing different genres or teaming with diverse artistes, it’s all about evolving as an artiste at the end of the day. Comment on the current music industry in India. How could the industry get better? Currently, the music industry has become synonymous with Bollywood. On the other hand, there is the indie music space. Although there is a lot of indigenous, independent talent, we need more avenues for it to get noticed. Things seem to be looking up with more and more music festivals being organized and newer live music venues coming up. I just hope that this culture continues. I hope for the growth of original music and wish musicians get their due in the country. I see myself continuing my journey of working on newer, more exciting and challenging projects as a composer and arranger. Do you plan to go back to Goa? As of now, I have no plans no return anytime soon. But since I am based in Mumbai, I keep visiting Goa very often. The focus now is to work on some good music and make the most of the time I have. But when I retire, I want to settle in my susegad Goa. You can also read the complete story on The Goan on Saturday. In a previous column, I wrote about how I immediately switch to Konkani when I meet a fellow Goan in Mumbai. But there was one aspect I failed to mention. It’s definitely about the language, but it does not end there. It’s about the form of Konkani that is peculiar to different parts of Goa and how I encounter this every single day! The reason I’m writing about this is because I face this situation more often than imagined. It took me over four months to realize that my workplace houses dozens of Goans, and every time we run into each other in this huge office, we automatically exchange hellos in our mother tongue. And this gets worse when I greet a north Goan considering I belong to the south. Now I’m sure you know where I’m heading. The dialect south Goans speak is way different from what the other side of Goa speaks. And this argument is never ending. Our receptionist, the secretary to the CEO, a couple of Sr. Vice Presidents, some Managers and a lot of Executives are Goans. Out of these most are north Goans and a handful are from the south. Recently, when the group was speaking with each other, we got into a friendly-argument (if you know what I mean) over whose Konkani is superior. Thankfully, there was no verdict on this. According to the north guys, south Goan Konkani is too rounded and every word sounds abusive. So we snapped and said that their Konkani sounded a lot like Marathi and that it loses its unique essence every time someone utters a word. The argument was not just about the multiple dialects that have emerged within the state, but also about which dialect is more clear and understandable. In our chirping about the language, we go back to the age-old debate of whether Konkani is a dialect of Marathi or not? While some, I would like to say, stubbornly think so, the fact that it is included in the 8th Schedule of the Indian Constitution as a separate language isn’t reason enough for us to stop the debate. We would no doubt like to believe, it has nothing to do with the neighbouring state! Konkani is Goa’s official language, and surely loves to hog our attention. To me, it’s all about staying rooted in tradition and retaining my culture. Konkani also sinks in the idea of comfort. When I speak with a fellow Goan, there’s this comfort zone I enter. Once the conversation is over, I exit that zone and switch back to English. In a way, these “friendly” arguments are a good icebreaker. One has a view, then someone else is roped in, the third person has a different view altogether, the fourth person chooses to be a spectator and finally we’re all having lunch together and laughing over what we were squabbling about. Like this, we at least learn everyone’s views on the language without affecting the brotherhood we share. Interview: A ‘Pao’ fell on my head and ‘Eureka’! How did the idea of starting PaoTips come about? What was the inspiration? A ‘Pao’ fell on my head and ‘Eureka’! (I generally like to go with that version of the story). Anyway, I had come across BawaTips, BroTips and the likes, and I had been dabbling with the idea of having a page that highlights the funny happenings and traits of ‘Pao’s’. I’d find myself typing into the search box for a page on ‘Pao’s’ hoping and wondering, if someone had already created it. Since no one had, I decided why not? I had a few lines and tips prepared, but they weren’t enough. ‘Being Goan’ had been trending around that same time and the tweets were hilarious and so apt. I put the word out there on Twitter, if I could use a couple of peoples tweets with due credit. I then had enough tips, which I had begun by using MS Paint to be uploaded on the Facebook Page on March 17th. How does the page function? How do you come up with these tips? When the page had just begun, I would get panicky with the amount of posts that needed to be uploaded per day, and managing the never ending notifications. With time, I was more at ease with how social media works and now Facebook also has a function where posts can be scheduled, which makes it much easier. I believe in uploading or sharing a post only if it is funny, relatable, informative or fitting. What are the broad topics you focus on? There’s PaoTips I – Which includes the first 5o Tips and PaoTips II – The Bakery (which has the next 50 tips along with comics, illustrations and memes) I wouldn’t necessarily categorize the contents of this page into specific topics as the Tips are about common traits and characteristics as well as experiences, growing up in a ‘Pao’ household. I also share pictures of dishes and foods that I venture out to find from time to time, most of which are non-vegetarian, and some which have been cooked in my home! Apart from these, I share something very close to my heart — adventure and travel. So when I come across rare and and beautiful posts and articles of places of travel and natural phenomenon around the world, I make it a point to share a few of them. Why do you think Goans, Mangaloreans and East Indians are referred to as Paos? And what’s your idea of the same? My Dada would jokingly say that ironically, ‘bread sellers’ would call us pao wala’s because they believed we ate a lot of bread. I wonder how ‘maka pao’ came to being. *Whispers in the corner* Looks like I got a post to put up on the page, eh? Who works on the creatives/ illustrations that you upload? A fan of the page, Boris Cardozo graciously offered to do the cover photo along with the profile picture; he even created a template that was much needed. Another fan, Nigel Sequeira worked on some amazing logos, which I shared on my page for the audience to choose. I then merged the logo onto the template and have been experimenting with patterns, colours and images that go with each Tip. It’s through the page that I learned, rather was forced to learn to use Photoshop and worked on a couple of Illustrations and comics of my own too. Once, I was joking around with my brother and as usual I made a fool out of myself, and told him, “That was my Anda Pao moment” which ended up as a fairly entertaining post on the page. What do you intend this page to look like in 5 years? I honestly have no clue. The number of ‘Likes’ are of no significance to me, as long as people see posts that make them laugh and say, “Yep, I’ve been there!” I’m happy!